An accomplished health care executive, Christina has more than 20 years of experience as a leader in the industry with a focus on developing, implementing and improving health care programs. 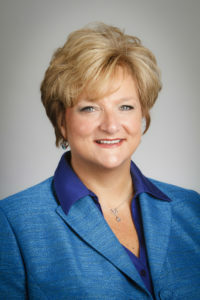 In her previous role as senior vice president, business integration and enterprise member care at CareSource, she led the organizational redesign of the care management model to create an innovative and comprehensive population health approach known as Care4U. Christina was also responsible for the implementation of new business, which led to an additional 1 million members enrolled in CareSource. Before joining the company in 2012, Christina led system wide quality improvement initiatives at Kettering Health Network as the chief quality officer. Christina is a registered nurse with her bachelor’s degree in nursing administration from the University of Cincinnati and her Master of Business Administration from the University of Florida. She is a Certified Nurse Executive, Advanced as well as a Certified Professional in Healthcare Quality. She has served as an executive mentor for the AHIP Executive Fellowship Program, an examiner and coach for the Ohio Partnership for Excellence and an examiner for the Baldridge National Quality Program.